We believe that learning can be engaging, rigorous, and personalized. Our innovative school model allows students to receive both grade-level content and small group intervention every day. Our core classes are hands-on and project-based, enabling students to apply what they’re learning to their lives outside of school. Each student has a Dream Team--a group of adults, from family members to sports coaches to pastors to teachers--that meets regularly to support their development. Our school is founded by our community. Families play critical leadership roles in our school councils and governing board. All students participate in a daily Leadership class to foster & strengthen their social-emotional development. 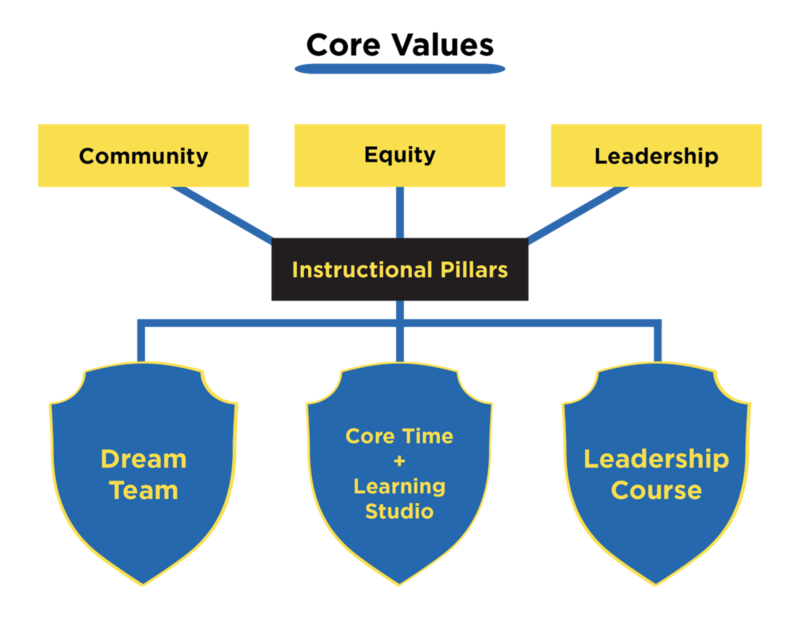 Our disciplinary practices are rooted in our values of equity, community, and leadership. That means engaging students rather than excluding them.